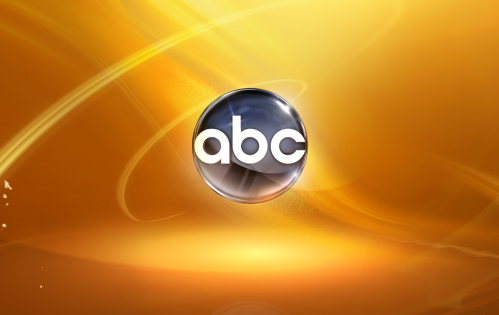 Deadline reports that ABC has ordered some extra episodes of several — but not all — of their current TV shows. Grey’s Anatomy, The Middle, The Goldbergs, Modern Family, and Black-ish will all now have 24 episodes this time around. Castle and Once Upon a Time will have 23 installments each. Resurrection, which is way down season-to-season, will have just one additional episode, bringing its season total to 14 episodes. It will be replaced mid-season by American Crime (which will have 11 installments). Scandal, because of its dense storylines, will stay at 22 episodes this season. How to Get Away with Murder will stay at 15 installments because of star Viola Davis’ contract. Nashville and Revenge, which continue to struggle in the ratings, haven’t been asked for any additional episodes. Newbie shows Forever, Selfie and Manhattan Love Story are tanking so it seems likely that they won’t be asked for more than 13 installments apiece and will be cancelled after that. UPDATE: ABC later decided not to order an additional episode of Resurrection after all, leaving the ratings-challenged show at 13 episodes. What do you think? Are you glad to hear that these shows will have more episodes this season? Which are your favorites? I am so upset about the cancellation of Forever. It was the best new show! Forever can not be cancelled. That and Once Upon a Time have actually got me to watch television again. Forever had great story lines, great cast members. Ioan Grufford is sooo easy on the eyes, what’s not to like?! Why would they cancel Forever?! They should have given the show better time slot. The show is not your typical tv series. They should make more shows like this,not CANCEL it! I would love to see Secrets and Lies continued. The actors were very good and believable. There is enough to go on with. Pleaseeeeeee. Why are you taking forever away. It is brilliant. Please, maybe the numbers are not great but instead of looking for who can give you the most money, give the people who watch something that challenges their minds, not something stupid. Forever has just begun to get good, and who knows how far it could go. I can only hope to see it back on, but it is not up to me, it is up to ABC. This Sunday should not be the last episode of Revenge!!!! Agree. Not a lot of shows on TV that aren’t reality shows. Almost time to cut the cable to tv since everything is reality. If I wanted reality I would film my own life. Agree, Kathy. We are cutting the cable as it is really upsetting to get involved with a few shows to see them go. By the way, instead of paying cable to watch broadcast TV, stream it for free (as long as you have Internet), the broadcast stations have to provide us the ability to watch for free.